Electric guitar blues. The first hit record. The first ever electric guitar hit record also happened to be blues: Floyd’s Guitar Blues. We’re talking 1939 here when the electric guitar was in its infancy. As it happens, I can think of only five electric guitarists of note who were recording during this period. These were the African-Americans Eddie Durham, Lonnie Johnson and Charlie Christian; and two white boys, the teenage prodigy, George Barnes, and steel guitar player Bob Dunn. As an example of how many unsubstantiated claims are out there on the internet, four of these guitarists are often individually cited as ‘the first electric guitarist ever to record’. I’ll leave that analysis for another day, but the first electric guitarist recorded, in my eyes, was Eddie Durham, and not in 1935 with ‘Hittin’ the Bottle’, as most music historians claim. My own claim is that Eddie used his homemade electric guitar and amplifier, way back in 1929, to record on a track called ‘Everyday Blues (Yo-Yo Blues)’, by Bennie Moten’s Kansas City Orchestra – a hard-stomping band many claim started off the whole big band craze. Have a listen to Eddie for yourself, and see what you think. Eddie Durham’s electric guitar starts about 1 minute 52 seconds into the record. Could we call it blues? If we can, this record must go down in history. But the great Eddie Durham is not the reason I’m writing this today. 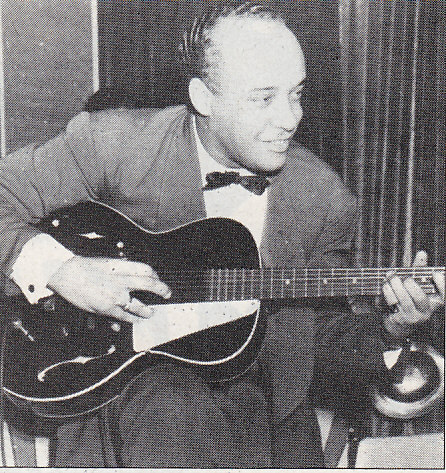 There’s another guitarist who deserves a mention, another African-American called Floyd Smith (1917 – 1982). 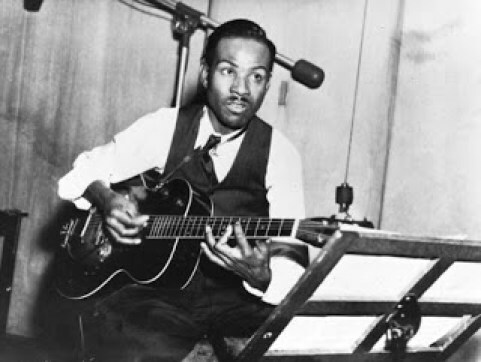 In 1939, Smith enjoyed the first-ever electric guitar hit record with ‘Floyd’s Guitar Blues’, recorded with Andy Kirk and his 12 Clouds of Joy. A lap steel guitar instrumental, this record is an exquisite early example of electric blues. Try it out below. The guitar proper comes in around 56 seconds. So, who was Floyd Smith? A ukulele player who studied music formally as a kid in St. Louis, Missouri, Floyd just might have been turned onto blues guitar by seeing St. Louis-based Lonnie Johnson, a big draw in the area. Here he is with Andy Kirk’s band. Floyd Smith then spent his early career playing with those blues-based jazz bands, known as territory bands, who criss-crossed the plains of America during the 1930s. The best known of these was Bennie Moten’s Kansas City Orchestra which eventually became Count Basie’s band. 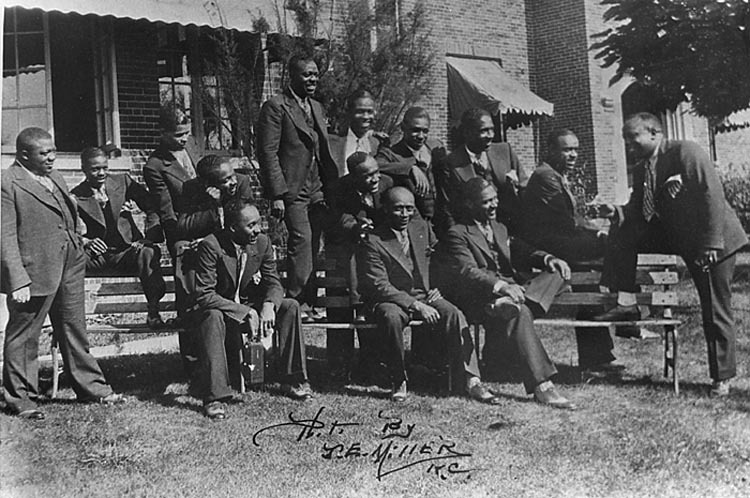 The territory bands Floyd Smith played for included the Jeter-Pillars Orchestra, with whom Floyd put down an electric guitar solo on their ‘Lazy Rhythm’ recording in August 1937. Clouds of Joy, with whom he cut Floyd’s Guitar Blues. trio, then spending six years with the Wild Bill Davies Trio. Blues – America’s greatest gift to the world?